Did you know that artificial intelligence is changing our world faster than we can imagine? It will impact every area of our lives. And this is happening whether we like it or not. Artificial intelligence will help us do almost everything better, faster, and cheaper, and it will profoundly change industries, such as transportation, tourism, healthcare, education, retail, agriculture, finance, sales, and marketing. In fact, AI will dramatically change our entire society. You might have heard that many jobs will be replaced by automation and robots, but did you also know that at the same time a huge number of new jobs will be created by AI? 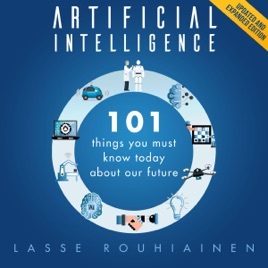 This book covers many fascinating and timely topics related to artificial intelligence, including: self-driving cars, robots, chatbots, and how AI will impact the job market, business processes, and entire industries, just to name a few. To enhance your learning experience and help make the concepts easier to understand, there are more than 85 visual presentations included throughout the book. You will learn the answers to 101 questions about artificial intelligence and also have access to a large number of resources, ideas, and tips that will help you to understand how artificial intelligence will change our lives. Are you ready to discover how artificial intelligence will impact your life? This guide offers a multitude of tools, techniques, and strategies that every business and individual can quickly apply and benefit from.